A very warm welcome to the FAQ section. This part of the Dubroom was created because of the many emails sent to this website. Too many questions to answer personally, and therefore you can find them here, in various categories. Just click on the category of your choice or scroll down to read small descriptions of all the different categories. As you know, the Dubroom provides links to purchase the products we review. On this page you can find out all about it. The CRC is a research project where Truthseekers can find information about the Babylon in one of her most deceptive disguises: Babylon Sponsored "Christianity". Read descriptions of the various mailing lists we have and the different ways of getting into contact with the Dubroom. Here you can also find out why your letter has not been answered personally. Ofcourse, there are allways questions that can not be placed in one category or another. These are called "general questions" and you can find them on this page. This page is especially created for people who are actively involved in the production of Reggae Music and want to find out how the Dubroom can help them promoting their works. The Internet for a great portion consists out of links. Ofcourse the Dubroom has a links section. Get to know the various categories and find out how to get your own link on the Dubroom. 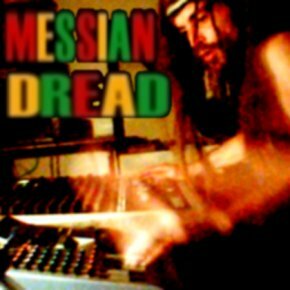 How and where is Messian Dread's music produced? Find it out, and more, on this page. Messian Dread's meditations and other writings have provoked a lot of reactions, both positive and negative. And questions, ofcourse. They are adressed in this page. Even questions that the writer couldn't have come up with himself. MP3 is the number one search at the various search machines. Here you can find out how the Dubroom deals with this format. You want to know what happens after you've sent the Dubroom an email or bought something through this site? Does the Dubroom share information and how is it used? Concerns about your privacy are being addressed in this section. Read everything about Radio Dubroom, the collection, the mixes, how you can request a track, and and more. What is S.T.A.R. and is it a part of the Dubroom? You're an artist, or just interested in making music? You've browsed through the studio and now you want to know more? Sometimes, music on this site is classified under certain styles, to help you choose the music that you want. On this page you can find a description of each used style.